This new band, called MASTERPLAN, would surpass all expectations – just a few months later (with the debut album “Masterplan”…,) the team proved to be firing on all cylinders…. No other band in the last decade had managed to combine traditional Melodic/Power Metal with an up-to-date approach quite like their’s…. But despite a successful follow up 2 years later in the form of the “Aeronautics” album, which was again highly praised by critics and fans alike, the band would be found floundering as Jorn himself decided to leave to be replaced by Riot/The Lizards singer Mike DiMeo. All was fine to begin with. DiMeo grew into the role and Masterplan recorded their third album “MKII” which had many of the qualities of the previous output, yet it was obvious that the band’s original heart and voice was missed by many, so when the rumors began that Jorn was once again being courted by his long-time friend Grapow, fans held their breath. So to 2009 and the day that these requests were finally met and what had seemed a dream to some finally became a reality. Jorn decided to rejoin MASTERPLAN, his friendship with Grapow unbroken, but what was now important was that the work to come had to be both enjoyable and better than the previous. With “Time To Be King” the band stylistically continues were their award winning highly acclaimed debuts left off, but this time even more refinement and expression has created a different MASTERPLAN. One driving forward, one striving to really make an impact, one that understands and is at peace with its abilities. 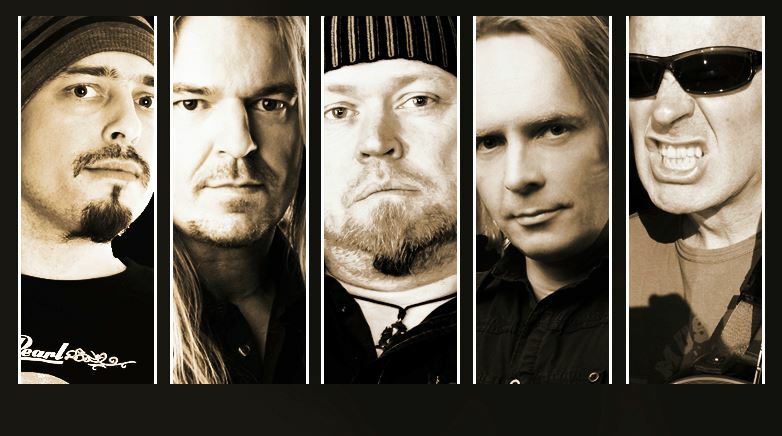 Yes, Jorn Lande has rejoined MASTERPLAN! But what was missed by many had to be delivered. Take one step into new album “Time To Be King” released on May 21st, 2010 and you won’t fail to see it. Joining forces with his original singer once again, guitarist Roland Grapow and his band have gained a new energy and are set to continue their impressive career from a place of strength. The MASTERPLAN magic is back! The perfect combination of catchy and challenging songs that attracts the attention of the listener from start to finish is present! Epic, melodic, masterful songs full of beauty and grace; the result of extensive songwriting sessions, re-awakened by the old spirit, all are there to be counted! All lyrics were penned by Lande this time whilst Grapow, Lande and Mackenrott were all responsible for the songwriting, Tunes like the energetic title track, the single “Far From The End Of The World”, the grooving “Blow Your Winds” and the melancholic “Lonely Winds Of War” show MASTERPLAN at their very best…. Whilst “Blue Europa” has inadvertently created a new unofficial anthem for the united Europe.